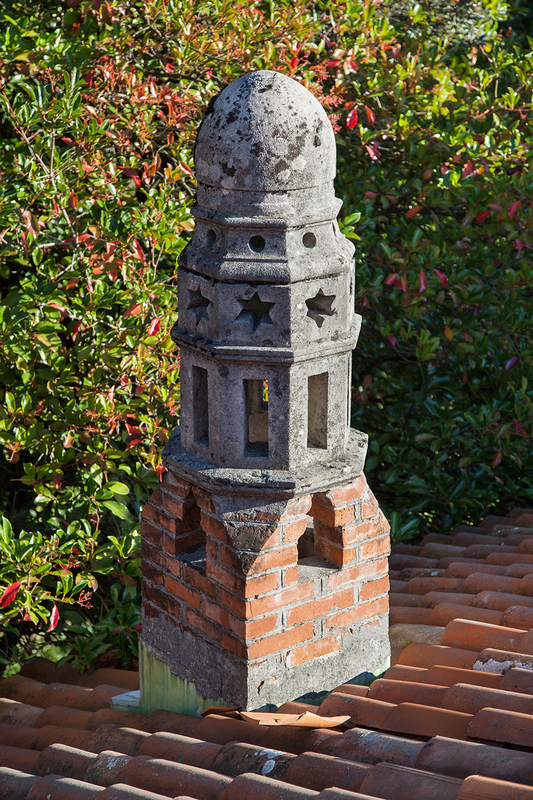 The Rafut Villa represents an invaluable garden and architectural heritage. Regrettably, however, neither the state nor the local community acknowledge its value, at least to the extent of working to prevent its inevitable decay. 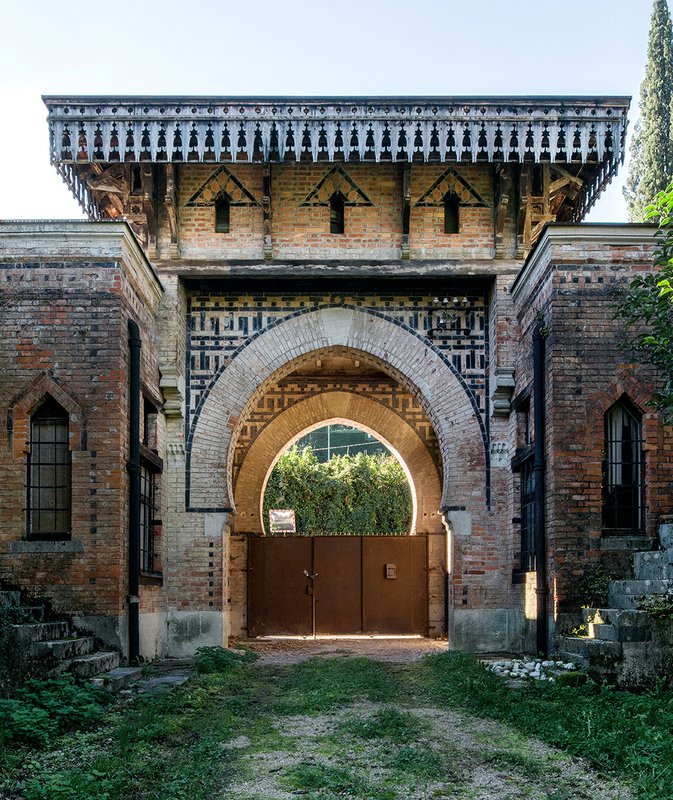 Just like the architect Anton Laščak loved to visit Kapela – now Kostanjevica – as a young man, to enjoy the very beautiful view that opens from there over Gorizia, I myself also often walk from Gorizia, past Kostanjevica to the Rafut Villa. I start my walk at the house where the architect was born, on the corner, near the St Rocco church in the area of Gorizia called Podturn. When Laščak was born, this part of the already multinational Gorizia was very Friulian. Later his family relocated some several hundred metres away, and that is where a plaque was unveiled in his memory upon the renovation of the house. The square near St Rocco church features a monumental stone fountain, complete with an Egyptian obelisk, which was originally planned to be implemented in the red or yellow Egyptian granite. The fountain was supposed to be the architect’s gift to his native town. It is not clear why, but the full donation never really took place, and Laščak thus gave only the plans for its execution. The fountain today is not functional, is full of flowers instead of water, and is surrounded by cars. 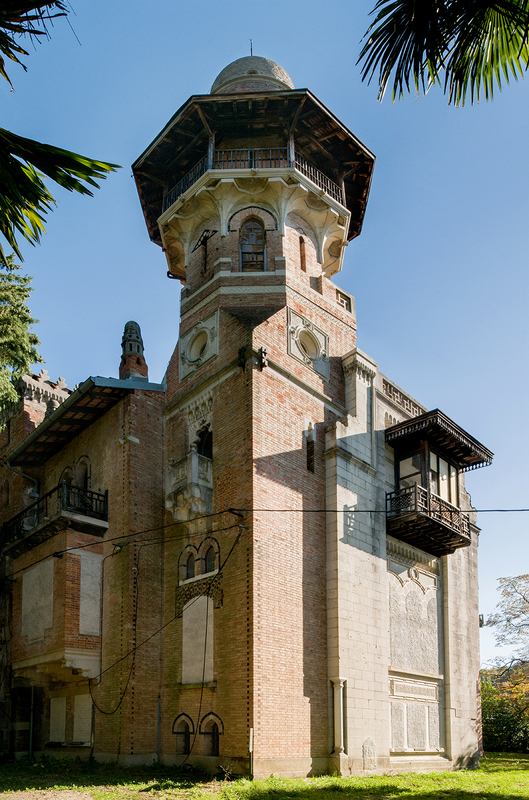 I continue across Anton’s Square up to the castle of Gorizia, and underneath the castle walls I look for the remains of two villas, the renovation of which was designed by Laščak. The first belonged to his parents-in-law. Laščak moved there soon after getting married. Both villas held privileged positions at the end of a narrow medieval street on the southern slope of the hill – a gorica, a term that gave the town its name. Unfortunately, following an urban planning proposal by Max Fabiani, this part of the town – one of the oldest – was demolished in order to enable a better connection with the area of the castle hill.